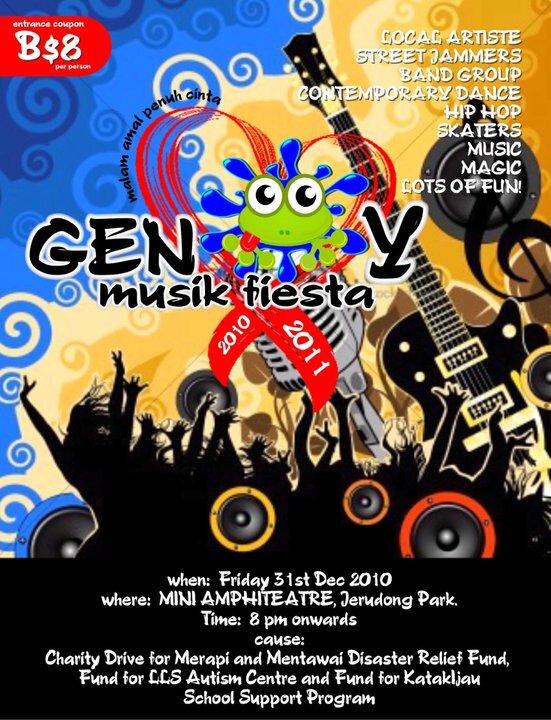 KatakIjau GEN Y MUSIK FIESTA 2010 that will be held on Friday, 31st Dec 2010 - From 8 pm at Jerudong Park Mini Amphitheatre. 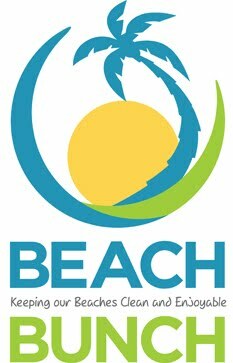 Ticket sale at B$8 and goes to Charity for Merapi and Mentawai Indonesia Disaster Relief Fund, Fund for LLS Autism Centre and KatakIjau School Support Program Fund. Nearly 100 GEN Y enthusiast in music, dance and entertainment industries thus include most popular Brunei artiste like HILL, FEZ MADEA, PUTRI NORIZAH P2F ARTISTES, A BAND ONCE, MAGABU and others will took part in the event for Charity Good Cause.